Webwise.ie / Parents / Get informed / Explainer: What is ooVoo? 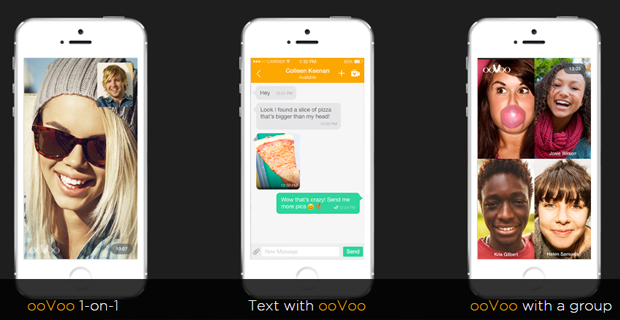 ooVoo is a free video chat and instant messaging app for mobiles, tablets, computers and MACs. 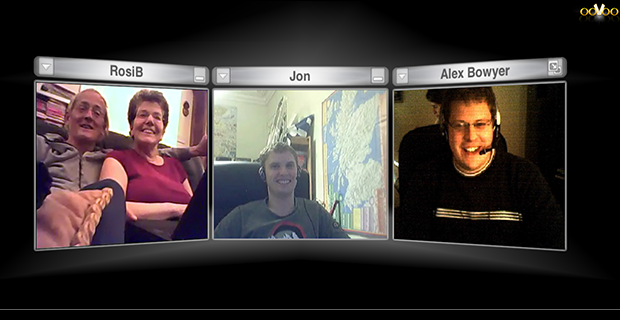 One of the main appeals for ooVoo is it allows you to chat up to 12 people at once, anytime and anywhere. ooVoo claim to have over 100 million users worldwide and it certainly appears to be one of the more popular video messaging apps. Used carefully, ooVoo can be a useful communication tool for teens and has been used successfully in schools for collaborative projects. The app is mainly used by teens for video chatting. Users set up a profile and add friends they wish to talk to or video chat. The app works with a users mobile phone camera or webcam on computer to broadcast live video chats. The app allows users to talk to up 12 people at once in a group and will display 4 people on screen. This has a big appeal for younger users, as other video apps only allow for one on one video chats. ooVoo is FREE to use, to create an account, users simply enter their email details or alternatively they can sign-up using your Facebook logins. Users are required to provide your name and date of birth, the app will then provide you with a unique ID. As with most social media networks users should be at least 13 years old to set up a profile. Update: Under the new E.U General Data Protection Regulation (GDPR), Ireland has now set the Digital Age of Consent to 16 years old. This means young people under the age of 16 in Ireland are not allowed to access this platform. Once installed, the app connects with the users phone / device making it very easy to find friends from contacts already on the device. 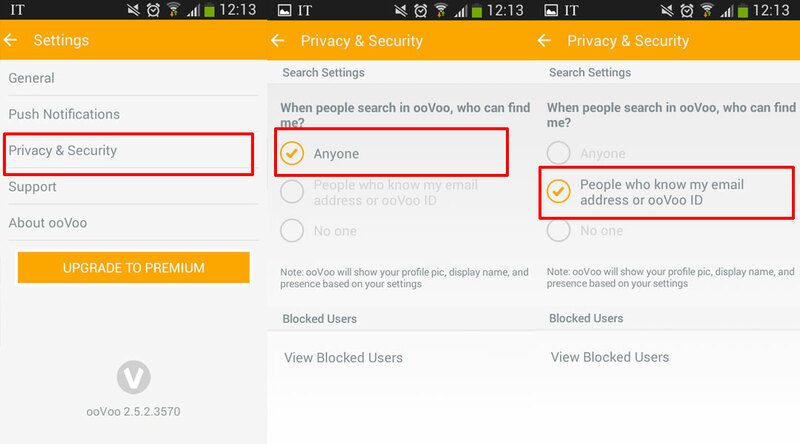 By default – ooVoo accounts are set for profiles to be public (anyone can view a users profile or contact them). You can limit who sees your child’s profile by switching from anyone to people who know their email address or ooVoo ID or you can also select the private option. In this case a user can only be found if another user knows your child’s ooVoo ID. In recent months parents in the UK and Ireland have raised concerns over unwanted contact from unknown individuals through ooVoo. To avoid this switch your child’s profile to private. It is possible to encounter content on ooVoo that is unsuitable for children. Although the overwhelming majority don’t; some users broadcast pornographic videos and others performs sexual acts in front of their webcams. There can be an expectation of reciprocation in these scenarios. In other words, if you show me yours, I’ll show you mine. One of the features available on the app is the ability to easily record video chats without the other user knowing. The combination of sexual experimentation and the ability to record poses serious potential risks for young users. Many young users falsely believe that video chat is ephemeral; exists only for the moment it is actually happening and can never be seen again. It is a good idea to address this issue and explain to them that, like all digital content, video chat can easily be saved and shared. Another more sinister aspect of all video chat tools is trolling and sextortion. This involves broadcasting video clips that appear to be live feed from a webcam. This is easy to do and allows the unscrupulous to pretend to be someone else, usually an attractive young girl, to lure young men into sexual encounters. The typical scenario results in unsuspecting users being confronted with a recording of their exchange and threatened that it will be shared widely unless money is paid. There have been incidents reported where organised criminals will engage in this type of deception to extort money. This type of deception in sophisticated and difficult to spot. Many children are not aware that this is possible. Again, it is a good idea to chat with them and let them know that it is possible to impersonate others so the person you are video chatting with may not be who they appear to be. User can also switch their profile to private to help avoid any potential risk. How to block users on ooVoo? ooVoo allows users to block other users. Depending on what device the user has, the option will be different. To find out more go to the FAQs section here and select what device you are using, and click on the link highlighting how to block someone. Users can ignore unwanted friend requests, if a user receives an invitation from some they don’t know, select IGNORE on the invite request and there is also an option to block this person from contacting you again.